For the past several weeks, we’ve been hard at work on a number of features you’ve been requesting. Today, we’re excited to announce the release of MonsterInsights 6.2, a major update to our eCommerce addon, plus three new MonsterInsights addons. These updates will enable powerful new features for even more accurate analytics. 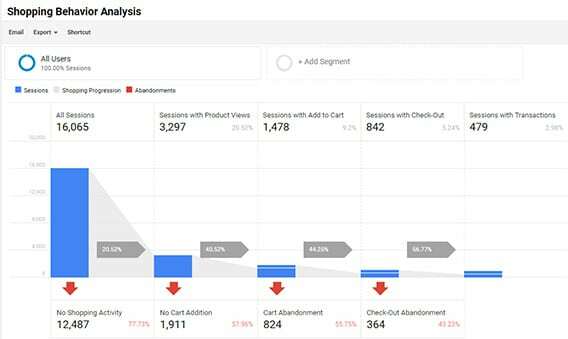 If you want to really maximize your eCommerce revenue potential, then you need more in-depth insights to make data-driven decisions – more than the standard Google Analytics eCommerce tracking provides. With the latest version of the MonsterInsights eCommerce addon, you can enable enhanced eCommerce with just one click. Shopping behavior: Discover how your users navigate from their first product view all the way through the checkout process. Checkout process: See how users move from step to step, and how many abandon the process at each step. Product performance: Get statistics on how each product is performing including revenue, unique purchases, refund amount, shopping behavior, and more. Internal promotions: Track the performance of your own coupon codes and sales to see what works. Affiliate tracking: Determine who your top affiliates are and see their revenue, transactions, and average order amount. In the past, setting up Enhanced eCommerce was a pain because of all the extra code. If you are using WooCommerce, there’s another extension but it gets pricey specially with multiple sites. Well we just made the whole thing easy and affordable. With the latest update to the MonsterInsights eCommerce addon, Enhanced eCommerce is part of the Pro plan and takes just a few clicks to set up. For a detailed step-by-step walkthrough on how to set up enhanced eCommerce in your Google Analytics account and on your site, see our guide on how to enable Enhanced eCommerce in WordPress. Like Google AMP, Facebook’s Instant Articles allows you to reach a whole new audience with your content by providing incredibly fast loading content for mobile users. Instant Articles are 10x faster than standard mobile articles on average, so users are 70% less likely to abandon your content. But by default, Facebook Instant Articles doesn’t play nicely with Google Analytics. 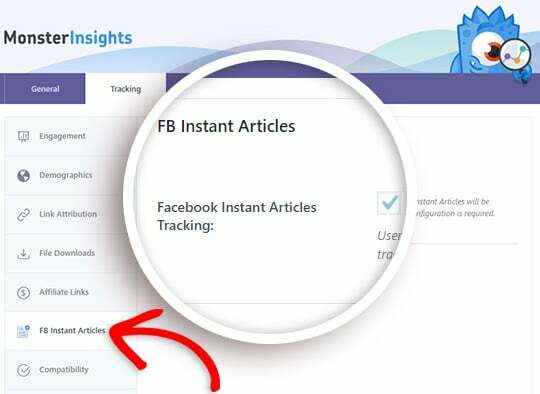 You may be getting more traffic to your Facebook Instant Article posts and pages, but it’s impossible to get detailed data when the page titles aren’t displayed in your analytics. To set it up, all you need to do is install and activate the addon – no settings or configuration required. You can see more details in our guide to getting started with the MonsterInsights Facebook Instant Articles Addon. That’s why it’s so crucial that your WordPress forms are optimized for conversions. The first step in conversion optimization is gathering data, but it can be difficult to track form conversions if you’re not a developer or an analytics expert. Now with the new MonsterInsights Forms addon, you can easily track your form views and conversions – without touching any code. The Forms addon works with any WordPress form plugin such as WPForms, Gravity Forms analytics, and basically any other WordPress form plugin. Again, there are no settings or configuration necessary. 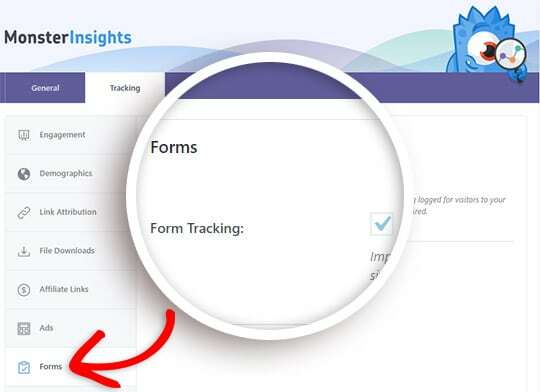 Just install and activate the Forms Addon to start tracking your form conversions. Previously, you could easily implement Google Optimize on your site by using the MonsterInsights Performance addon. Now, Google Optimize has its own separate MonsterInsights addon. If you’re using Google Optimize through the Performance addon, your settings and tracking will continue to work. But in order to get future updates to our Google Optimize integration, you’ll need to install the Google Optimize addon. And that’s not all… we’ve also added a new tracking feature to the core MonsterInsights plugin. Now all your phone links will be automatically tracked in Google Analytics. No need to add your own events or edit your tracking code. All the new addons and features are available now. Click here to get started with MonsterInsights Pro today. That’s all for this update! Thank you for all your support and feedback in making MonsterInsights the best Google analytics WordPress plugin. Want to be the first to know about the next release? Be sure to subscribe to our email newsletter and follow us on Twitter and Facebook.